Tantalise your tastebuds and learn the history of our famous regional wines on our exclusive to Volkan’s Adventures Evening Wine Tasting tour. The domesticated grapevine (Vitis vinifera) is historically one of the most important fruit species in the classic Mediterranean world, and it is the most important economic fruit species in the modern world today. Amazingly, the pine forests in the region from Mugla eastwards along the coast to Antalya still grows the wild vitis vinifera sylvestris, which produces some of the most popular wine grapes such as pinot noir and cabernet sauvignon. These wines, as well as several other varieties will be included within this trip for you to enjoy. 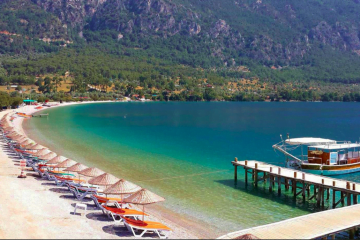 TIP: If you would like to find out more about the beautiful city of Mugla, why not try our private Mugla Undiscovered trip? 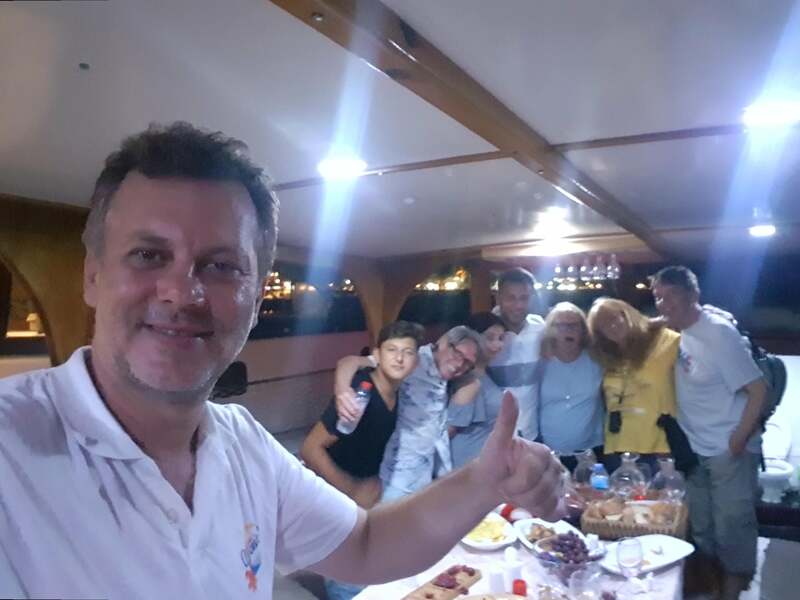 Beginning at 7.00pm, set sail with us on our newly rennovated boat from Dalyan harbour as we make our way out across the breathtaking Koycegiz Lake until we arrive at the perfect spot to marvel at the stunning sunset. As day turns into night, you will have the opportunity to enjoy ten variations within a cross section of red, white and rose wines on an unlimited basis. Furthermore these will be expertly matched with sumptuous platters for you to indulge in, the contents of which will be chosen due to the perfect harmonisation of flavours with the wines. You will be spoiled with a huge variety of meats, cheeses, nuts, seafood, breads and fruits to truly bring out the best of the deep rooted essence within each type of wine. As well as savouring the wonderful tastes of all that is on offer, you will also be able to learn the history of the wines, the vineyards and the areas of origin as we cruise on our boat making occasional stops at beautiful scenic points along the way. 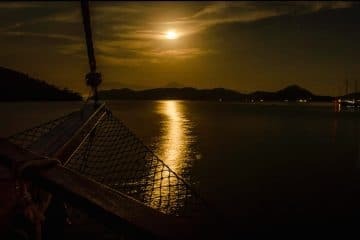 We will aim to return to Dalyan for 10.30pm. At the end of the trip there will be the opportunity for you to purchase any wines you particularly enjoyed by the bottle should you so wish. 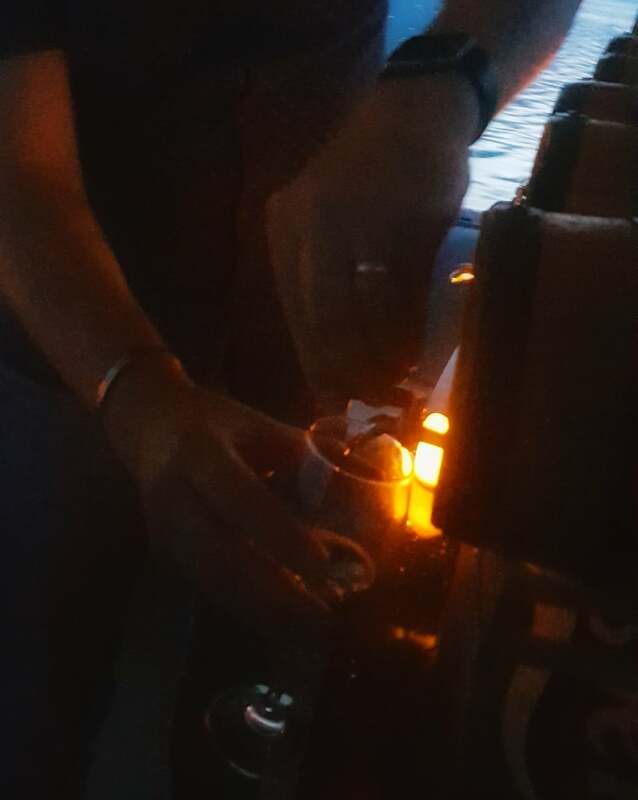 If you are not a wine drinker as such but would still like to join the trip there will of course be a fully stocked bar on board selling a wide range of other alcoholic and non alcoholic beverages. Please note, in the opinion of Volkan’s Adventures this trip is not suitable for those under 16 however it is of course down to the discretion of the guardian on an individual case basis. 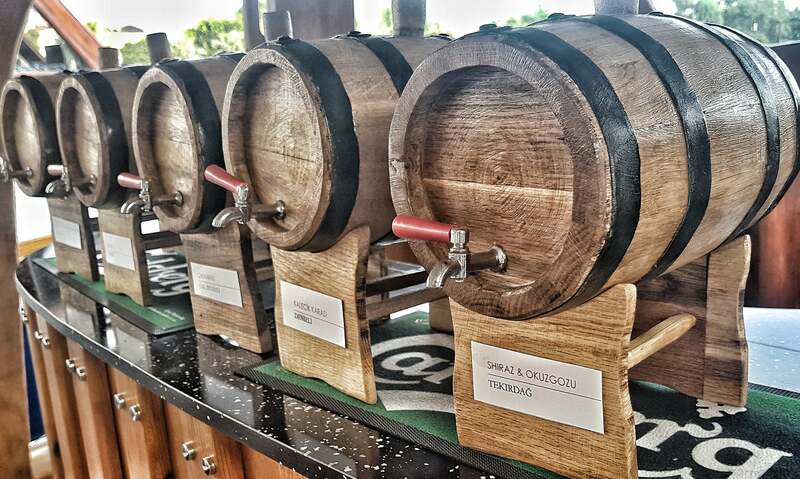 We also encourage you to please drink responsibly. DEPARTURE TIME Please be ready by 6.45 PM for a prompt departure at 7:00 PM. 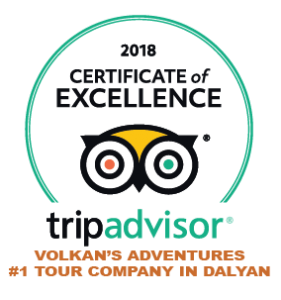 One of Volkan’s new tours and we decided to give it a whirl as it seemed to be our sort of low key trip. 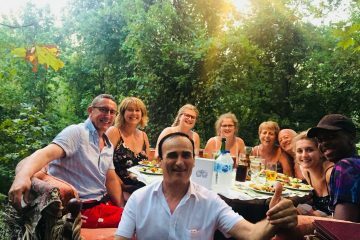 Volkan’s at 6.30pm to meet up with the group, a nice number of 14, all friendly and as is always with Volkan’s tours, chatty and happy. Lovely trip, brilliant selection of wines, and food. Volkan as always was prolific in his knowledge of the wines available, and the history of Turkish wine-making. Red wine is not our favourite so we stuck to whites and rose, but the others on the tour said it was delicious. Lots of laughter, and nice snuggly blankets offered on the boat since there was a chill in the air. Great for star-gazing. Finished up at the Jazz Bar with a gang off the boat, dancing and shots, a thoroghly enjoyable experience to be repeated next year!! !